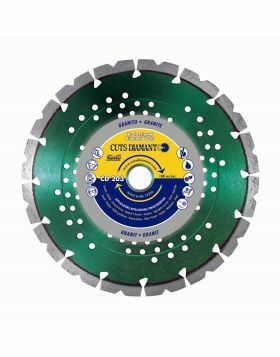 Diamond saw blade CD 225 ideal for cutting granite and hard materials. 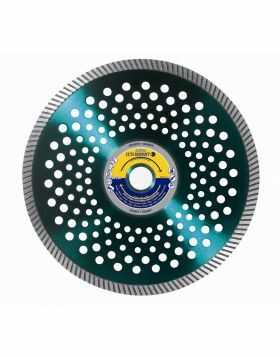 This diamond cutting disc is equipped with two types of small cutting segments of 12mm high, standard and turbo segments. This technology grants a faster cutting and a considerable duration. 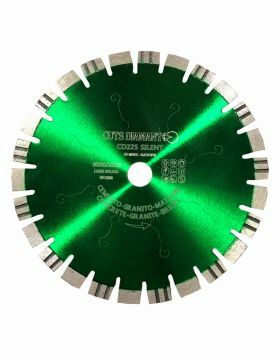 This disc is available from Ø115 to Ø450mm for dry or wet cutting. It is recommended for cutting granite, porphyry, washed concrete, clinker, brick and soft stones. To be used on cut-off saws and table saws.